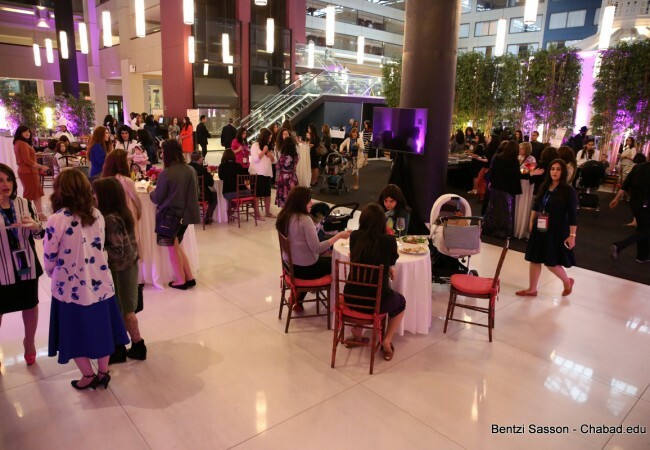 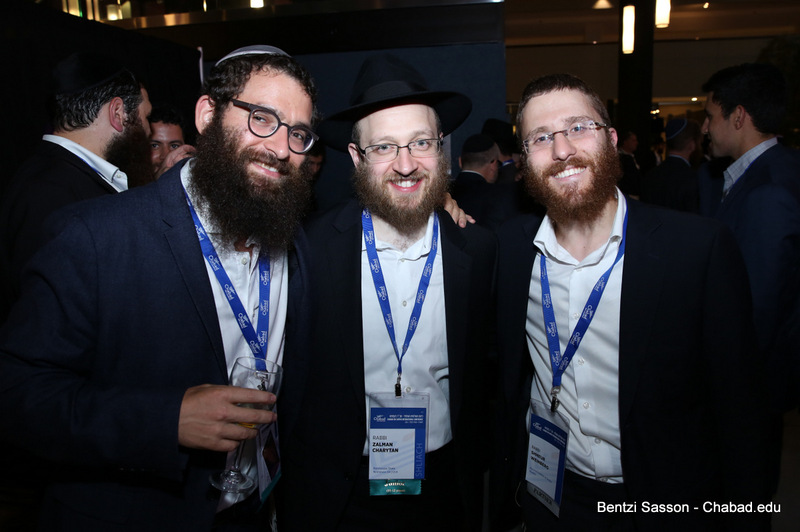 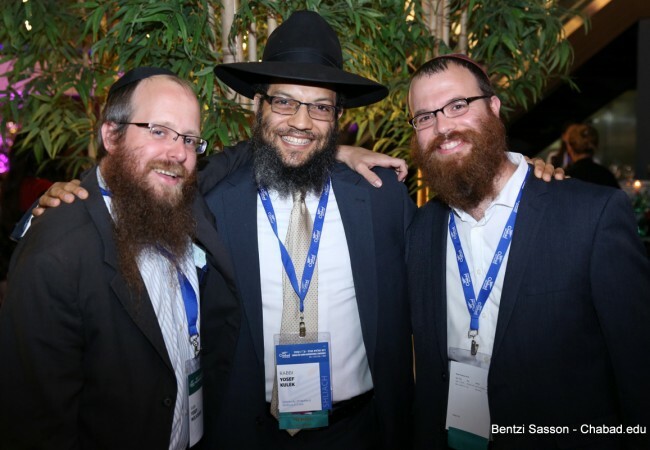 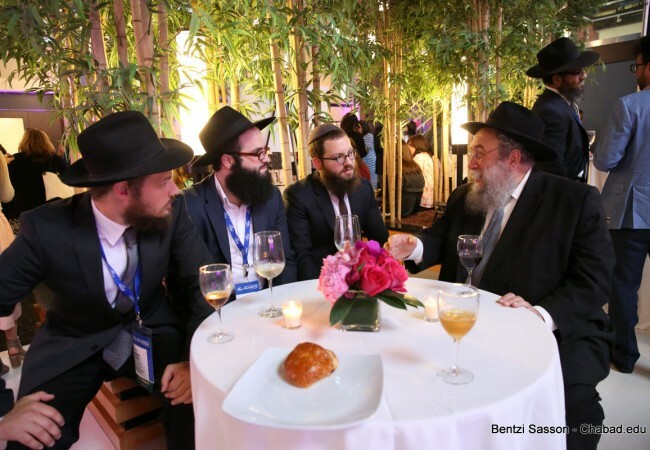 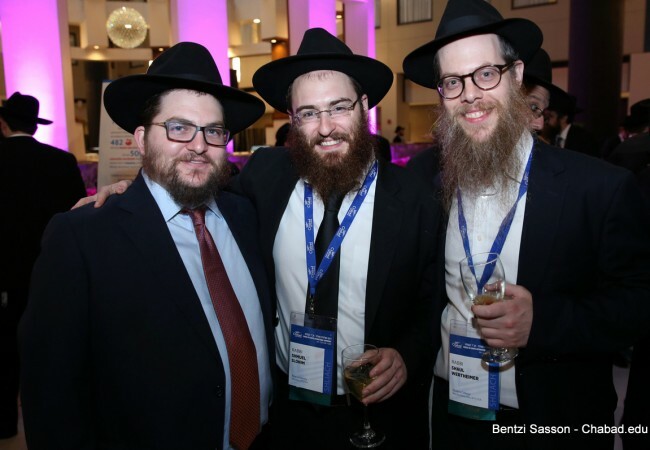 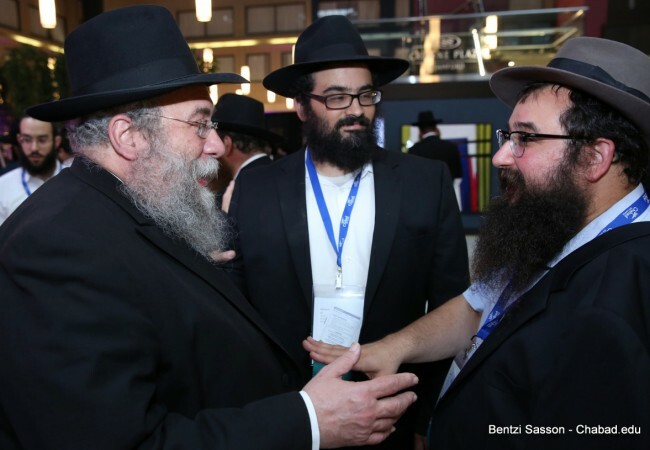 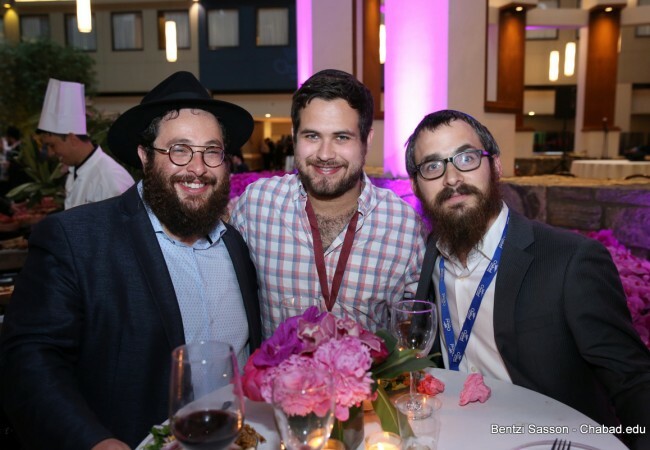 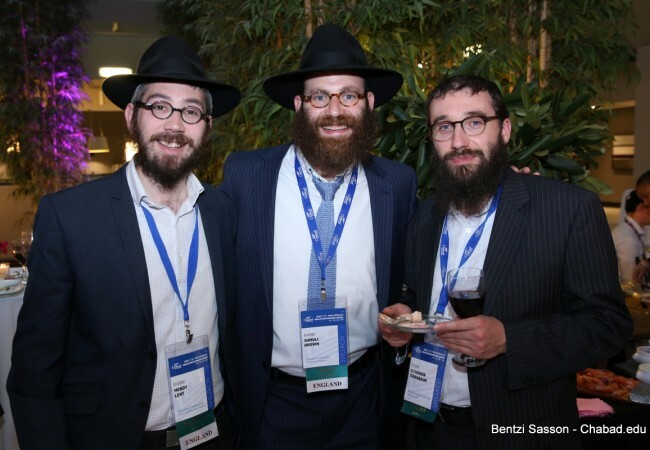 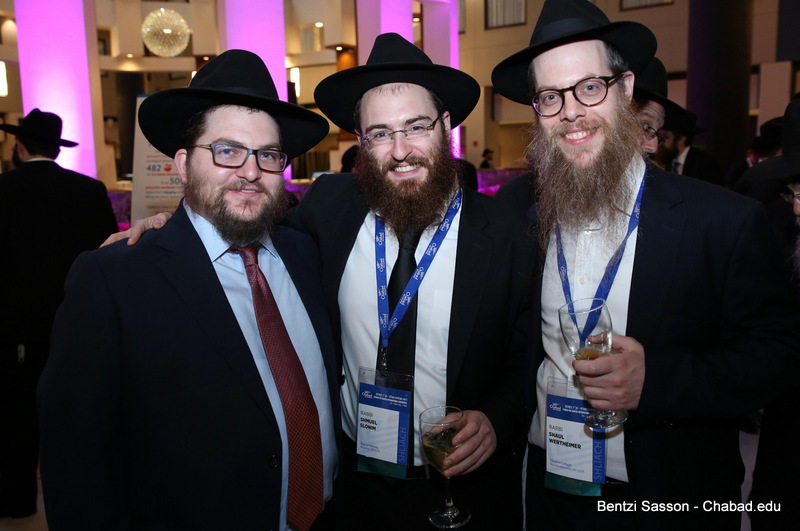 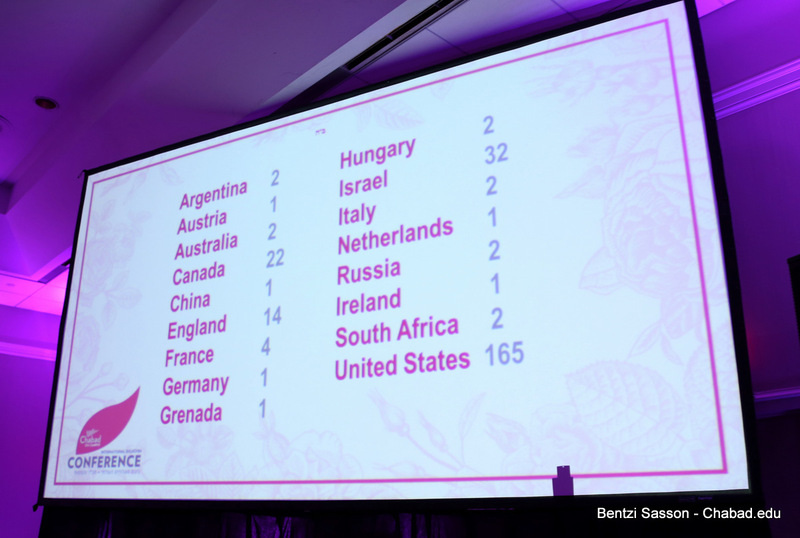 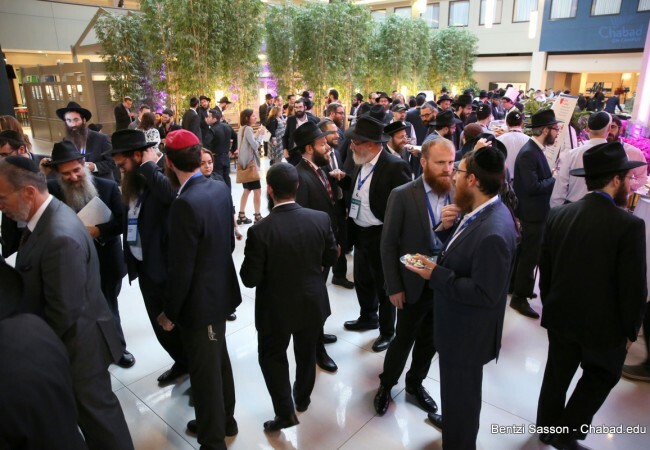 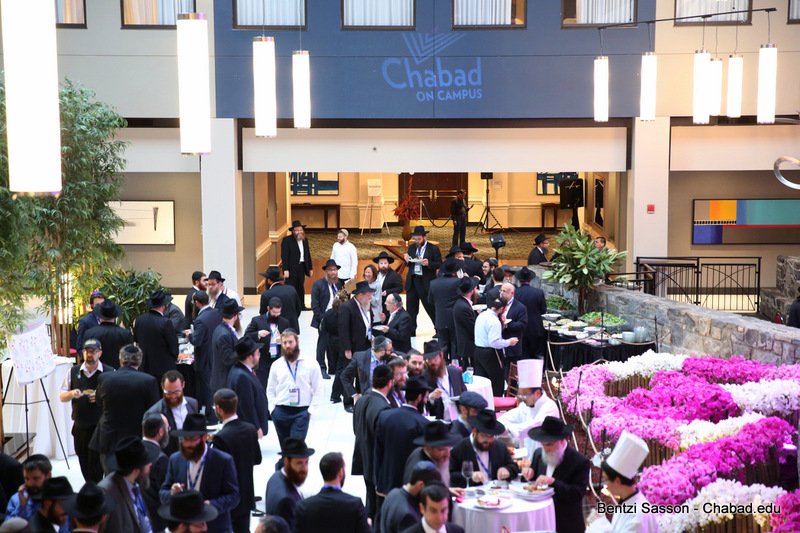 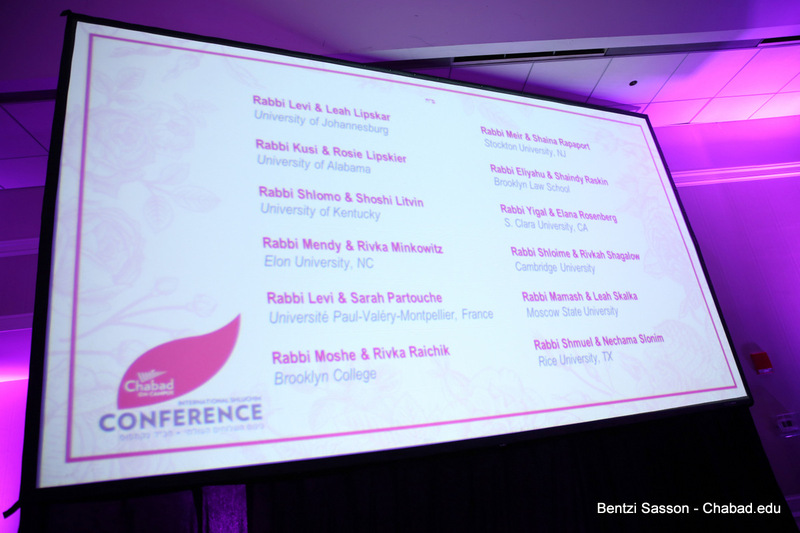 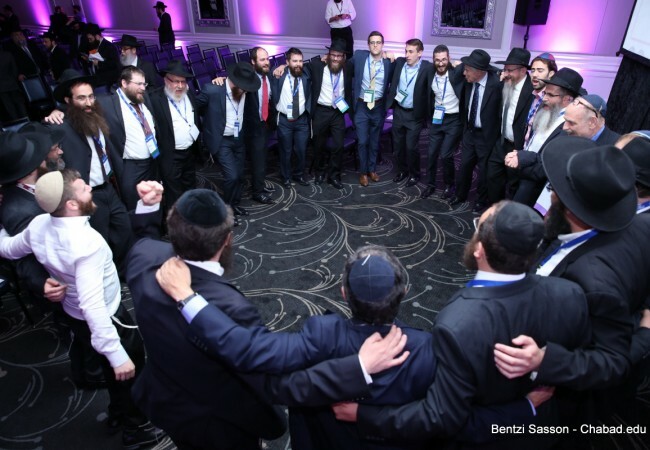 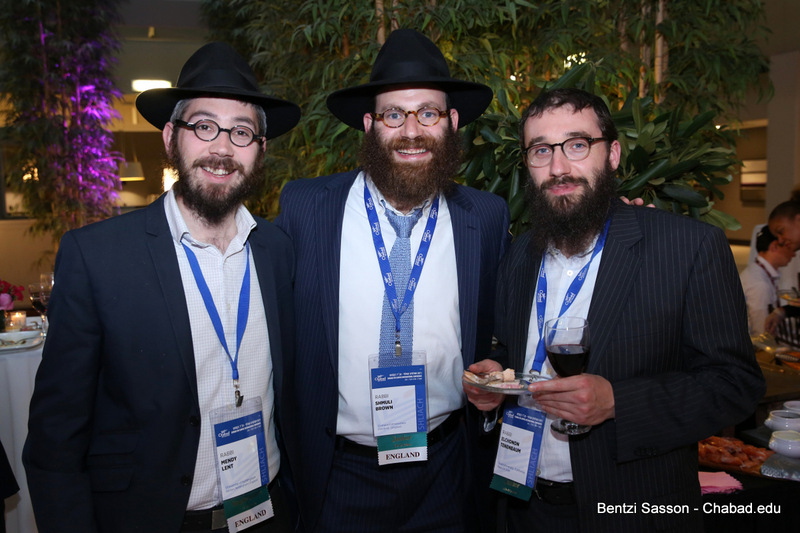 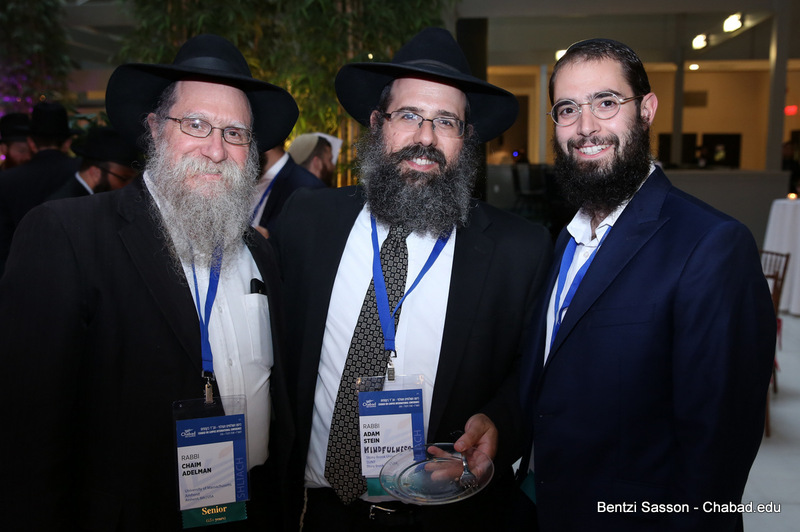 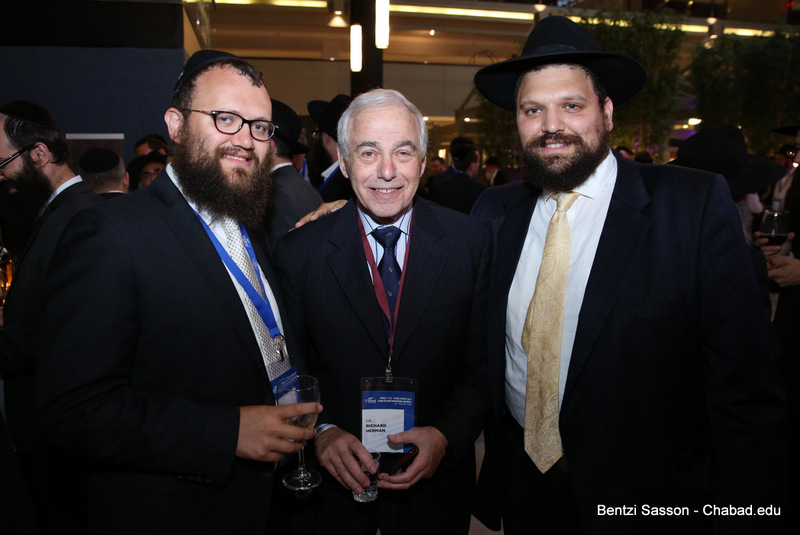 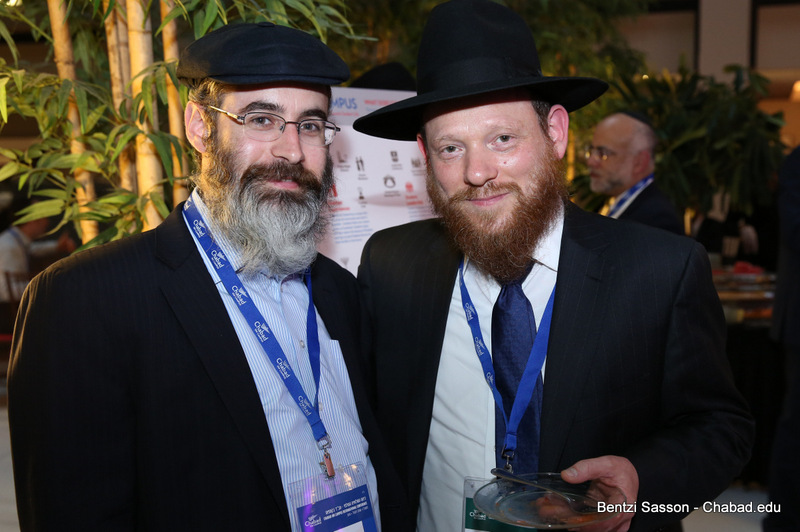 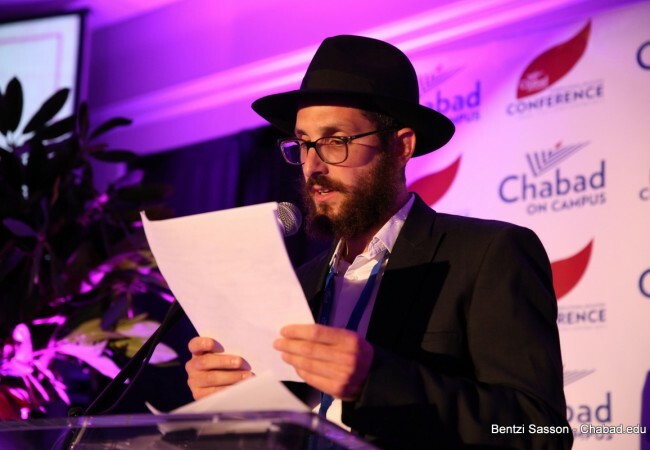 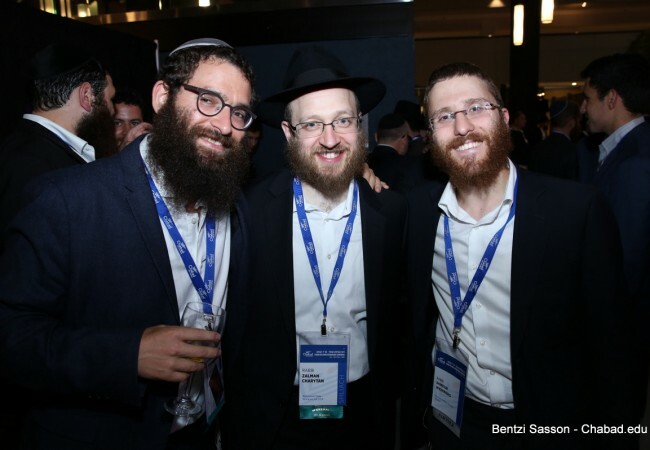 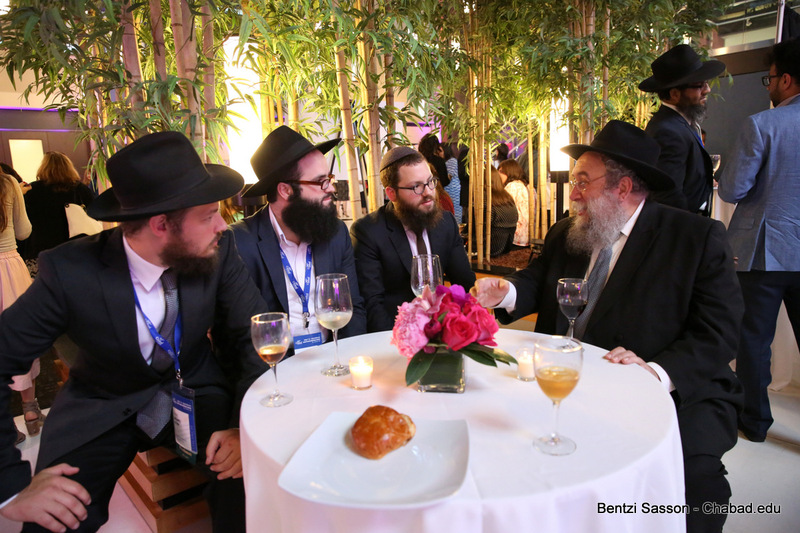 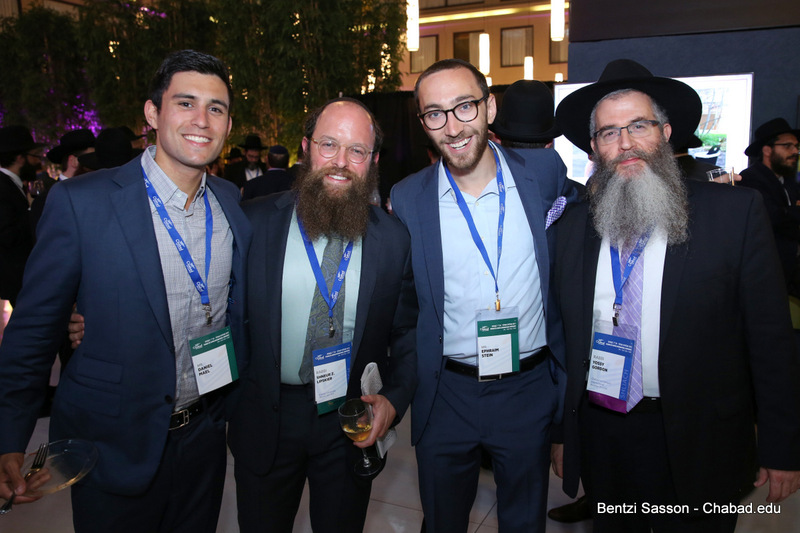 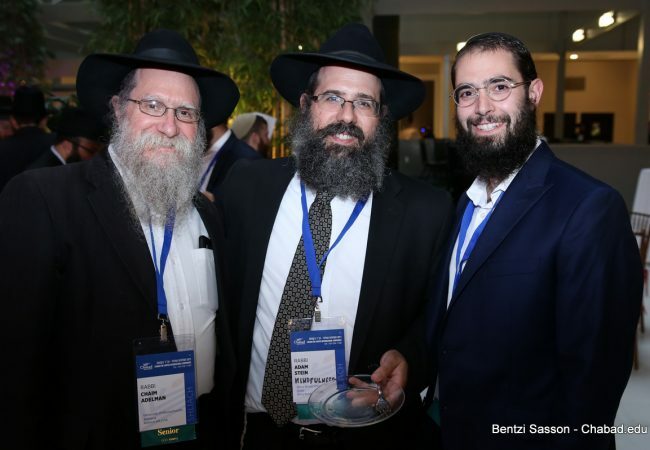 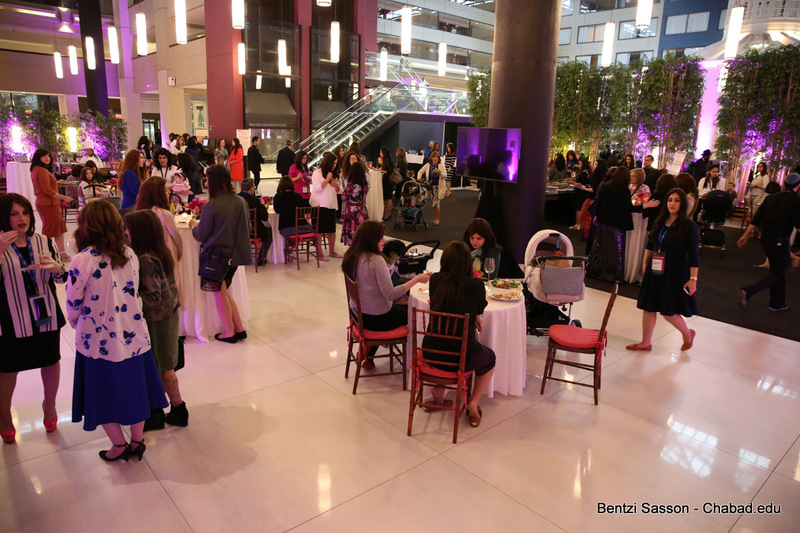 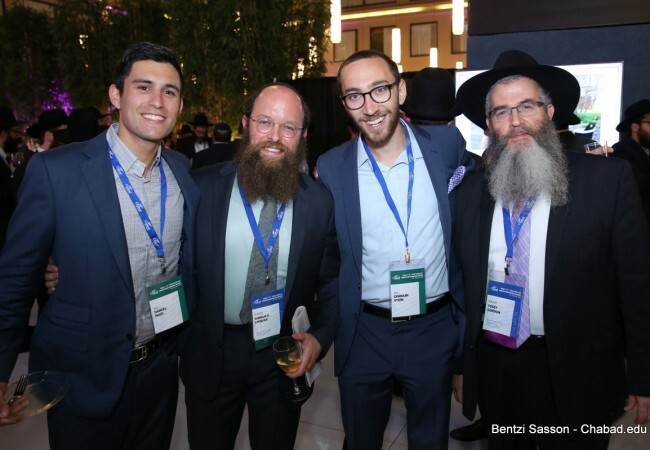 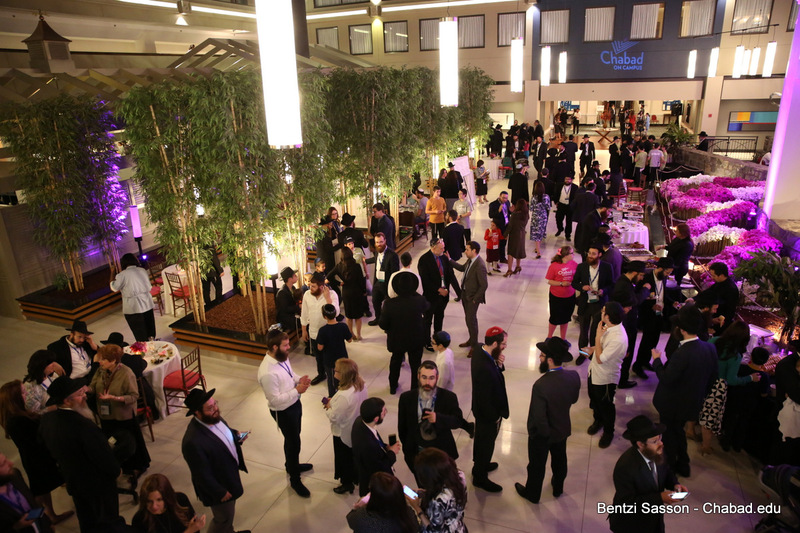 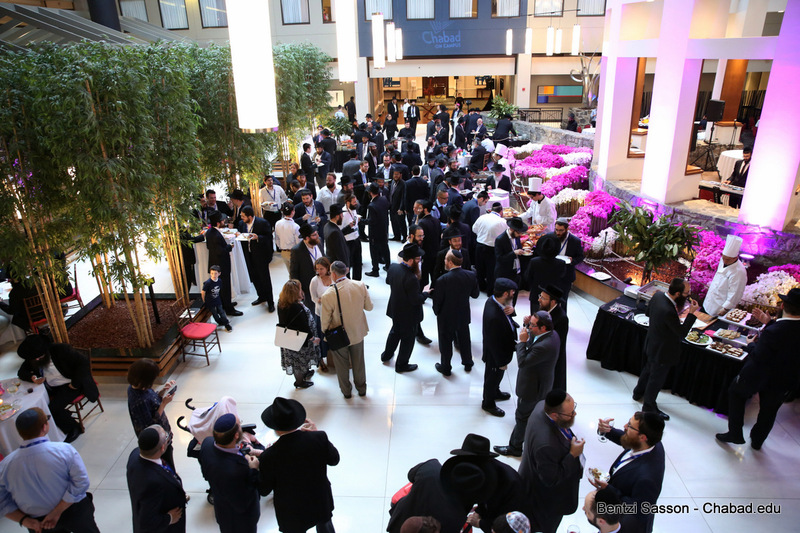 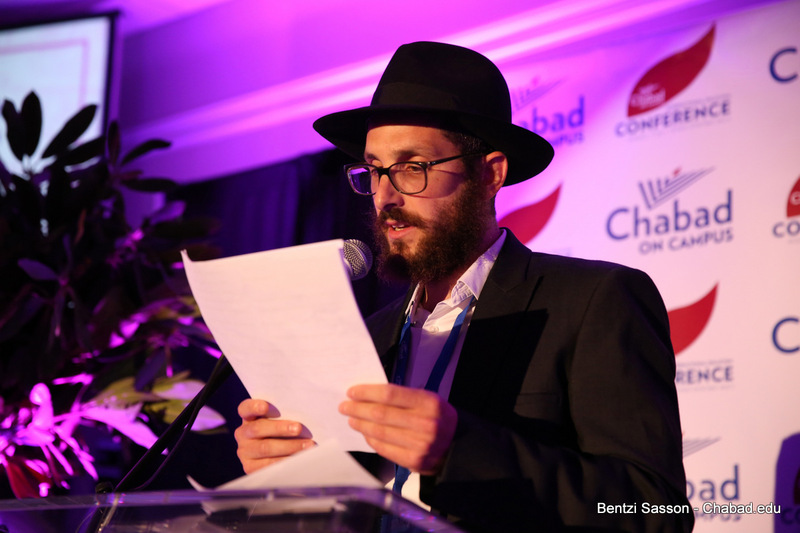 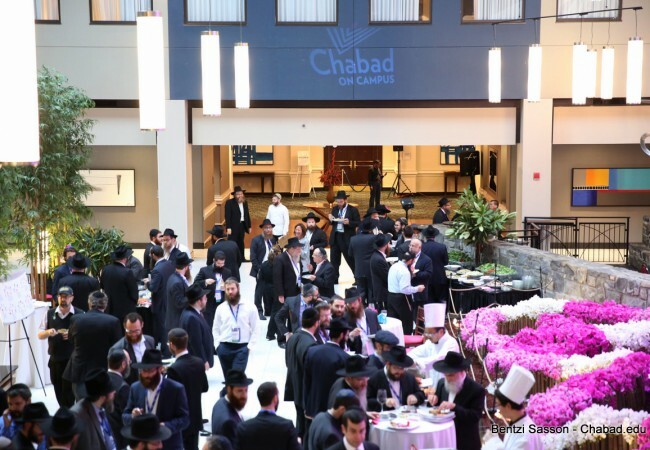 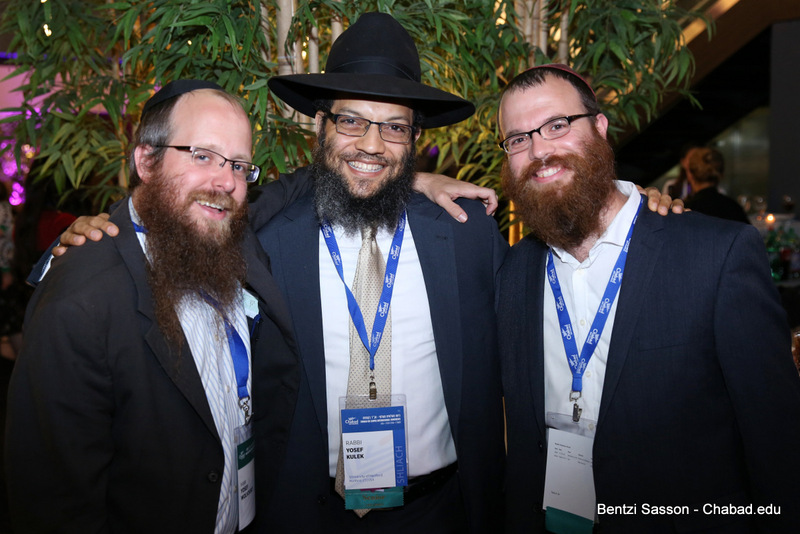 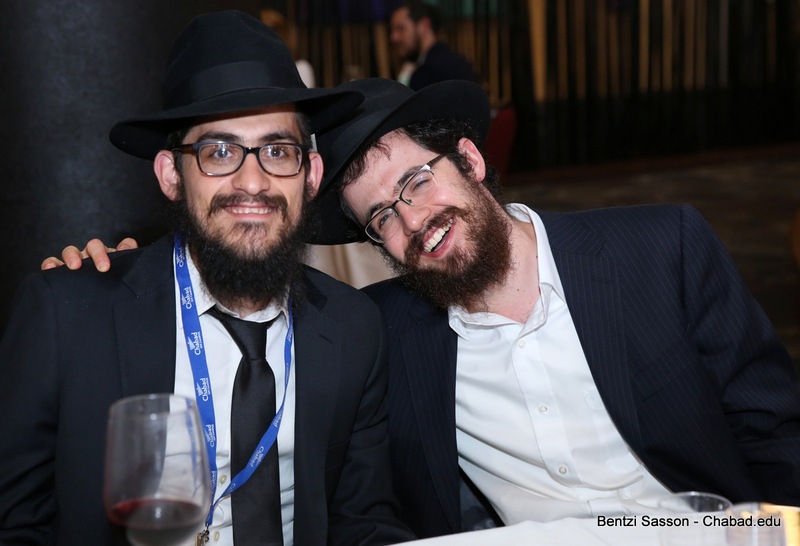 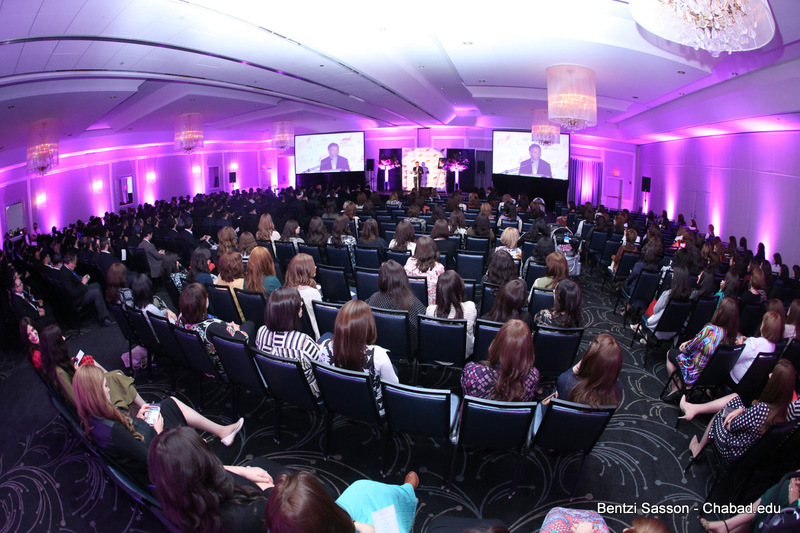 While Chabad on Campus is best known for servicing virtually every university in the United States, it is very much an international movement. 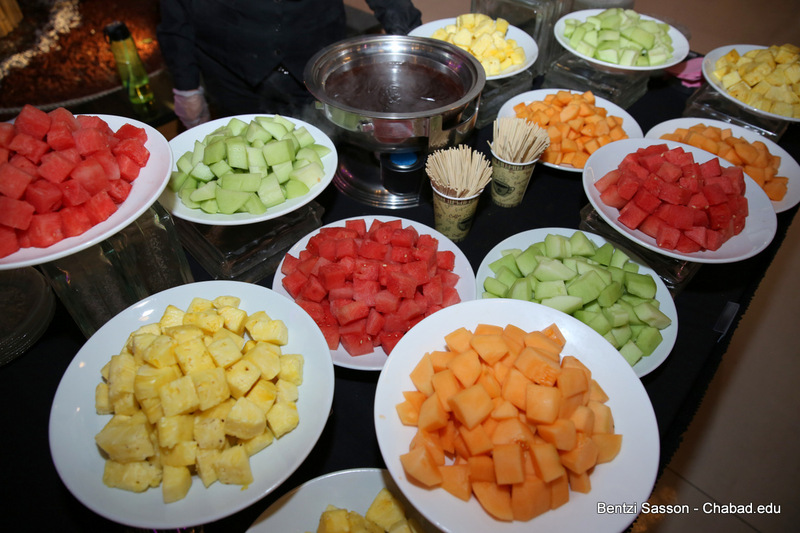 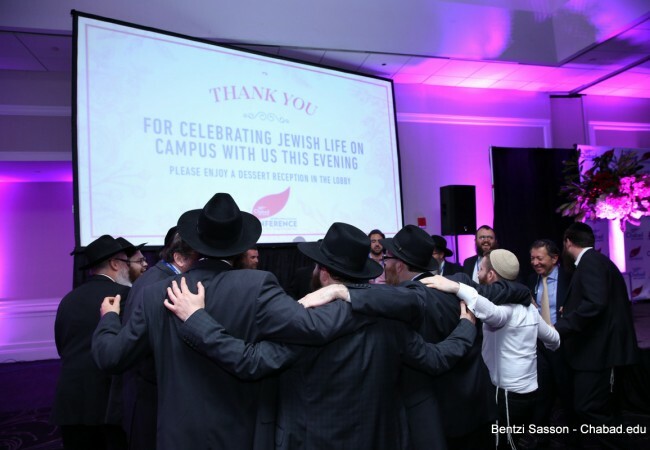 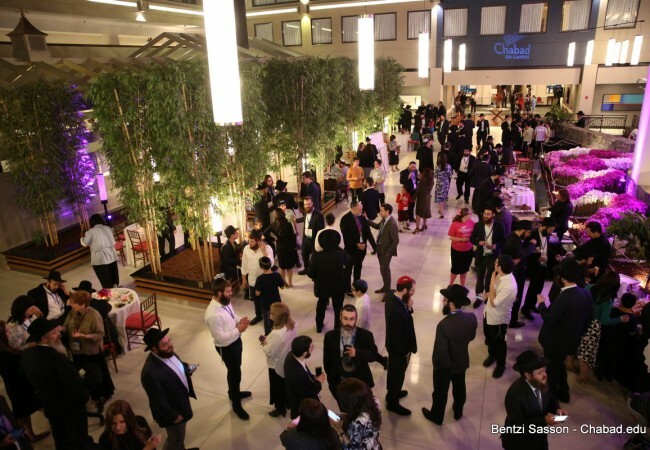 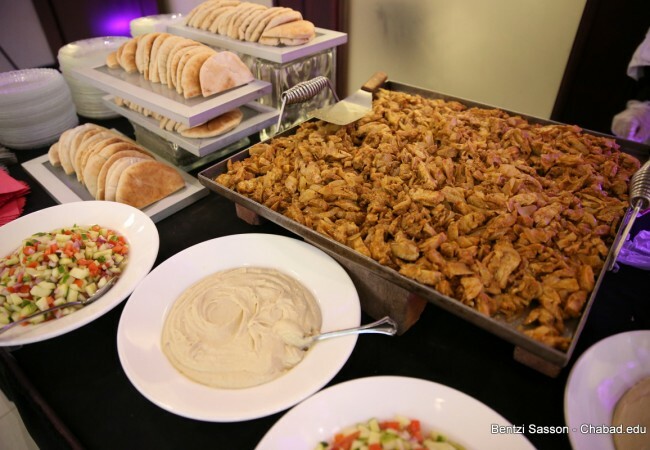 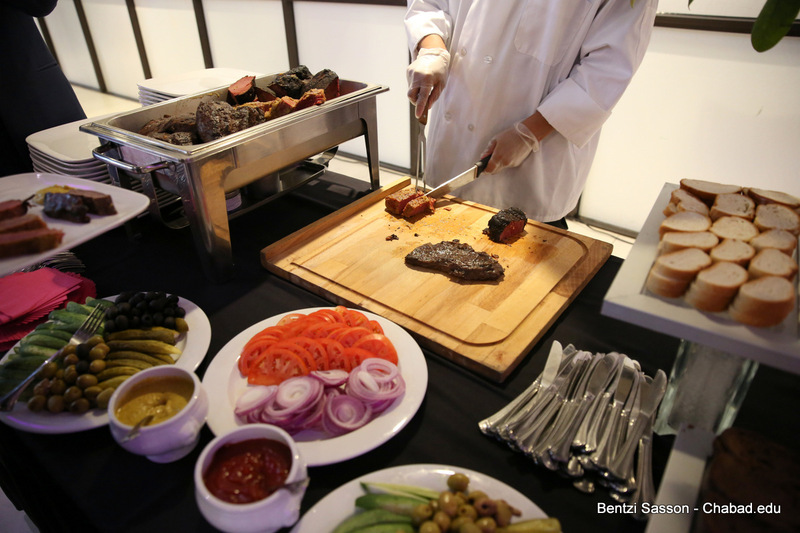 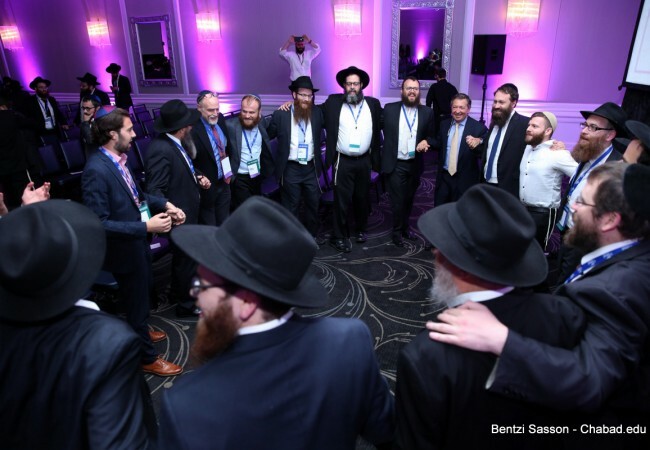 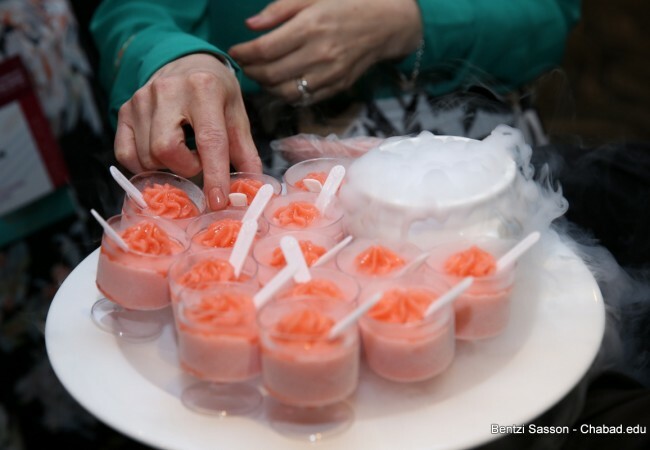 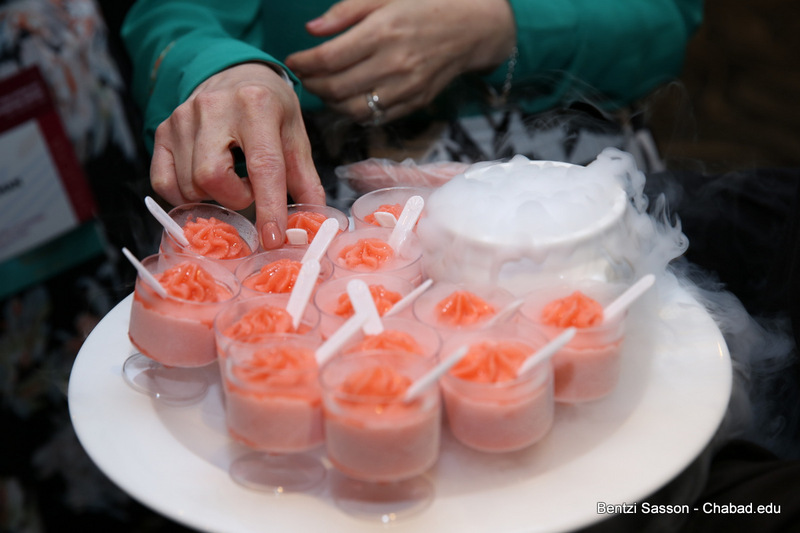 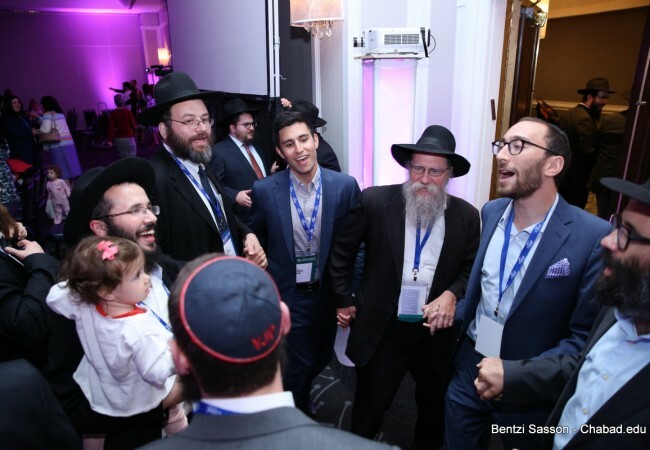 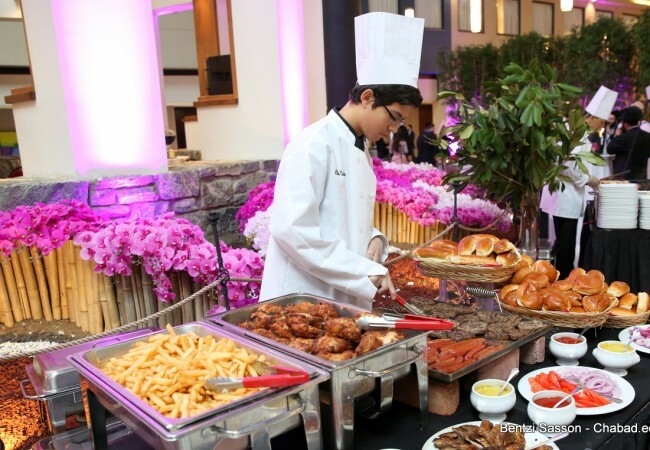 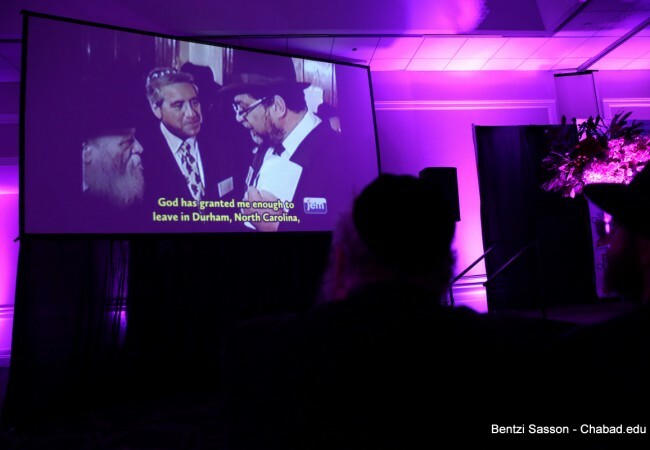 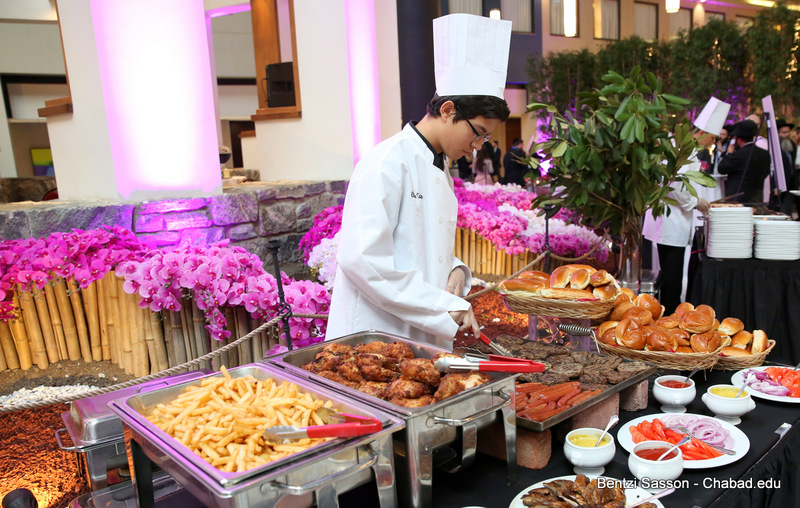 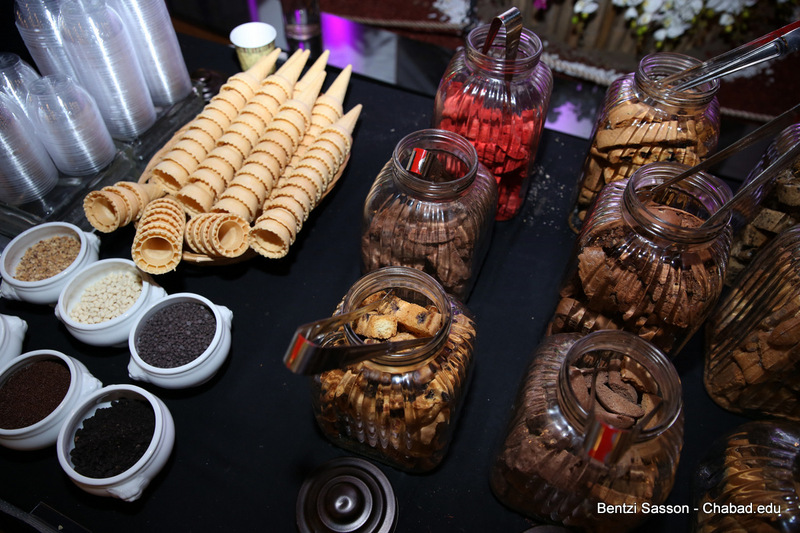 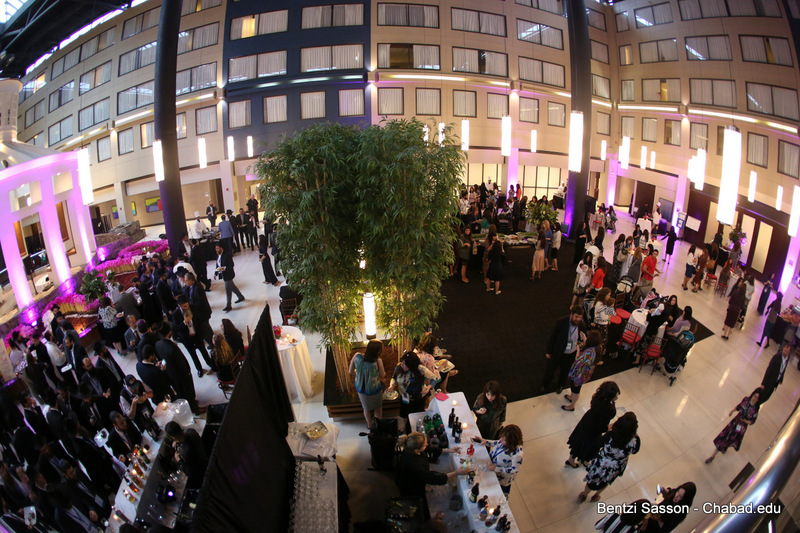 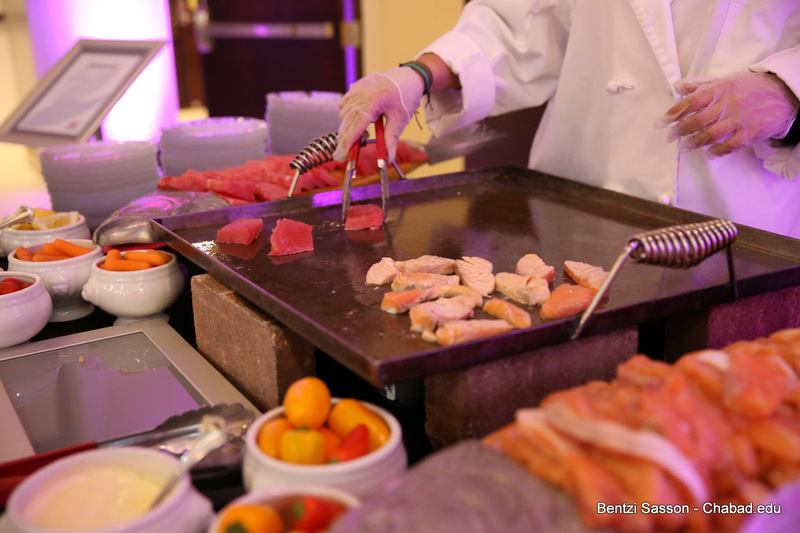 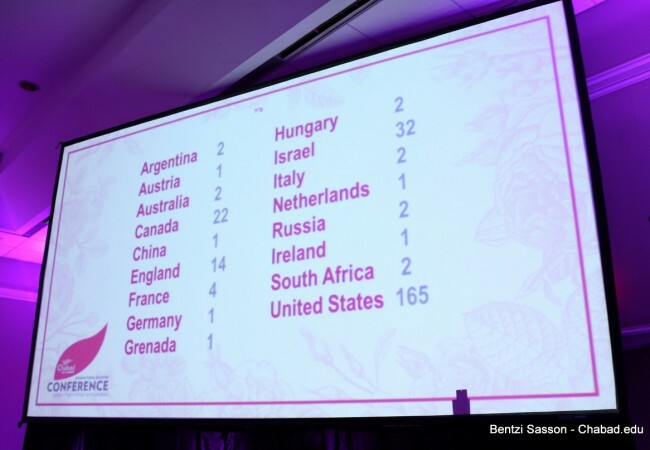 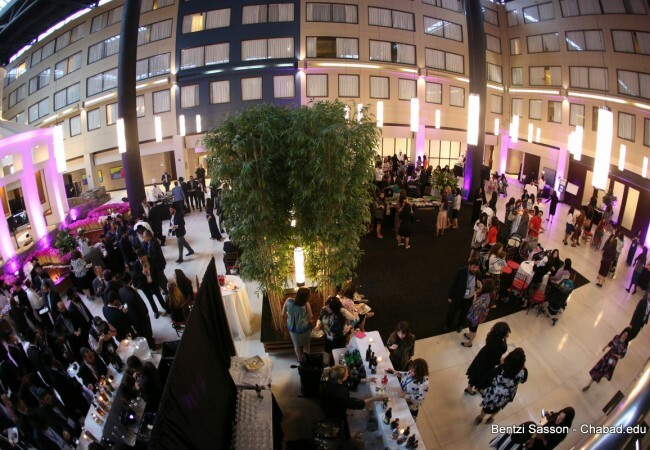 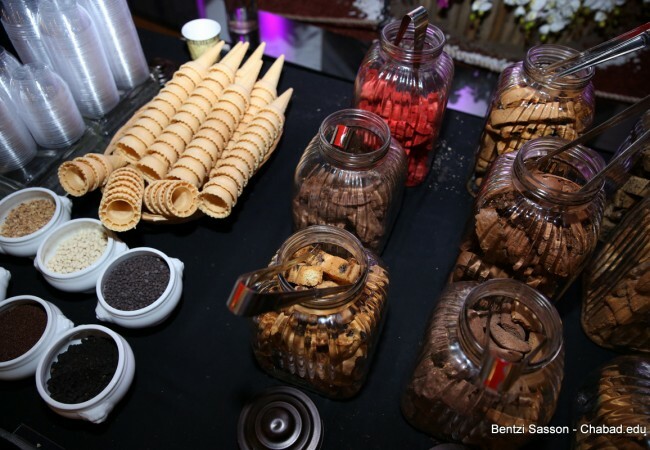 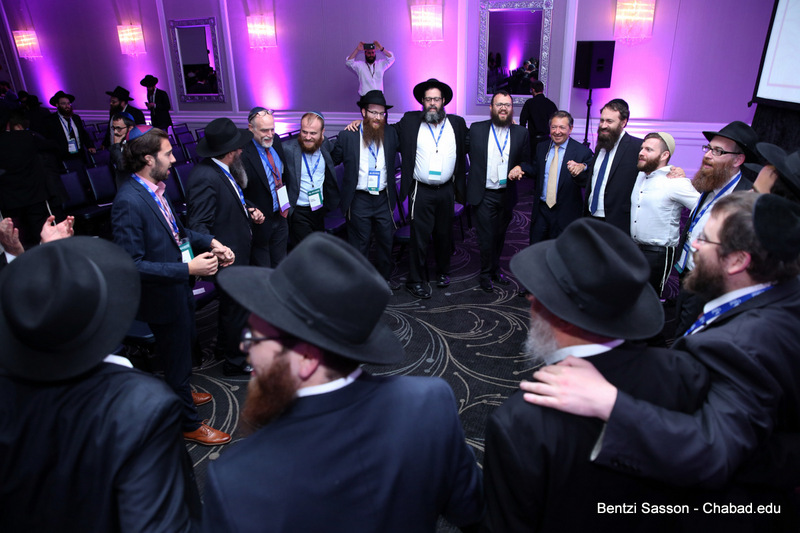 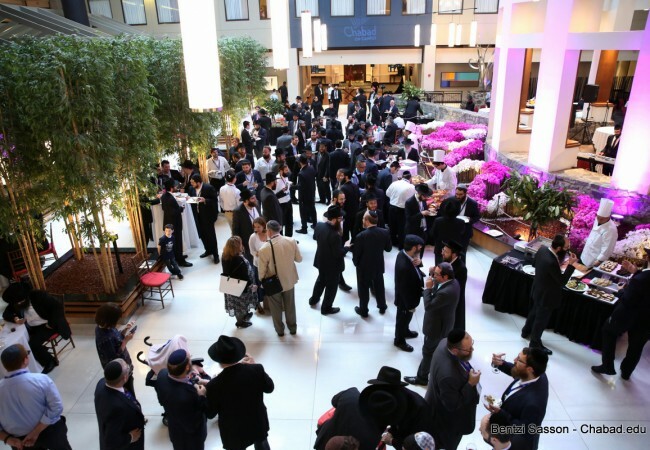 That fact was on marked display at the Celebration of Jewish Life on Campus Dinner, which took place on the first evening of the Chabad on Campus Kinus in Stamford, Connecticut. 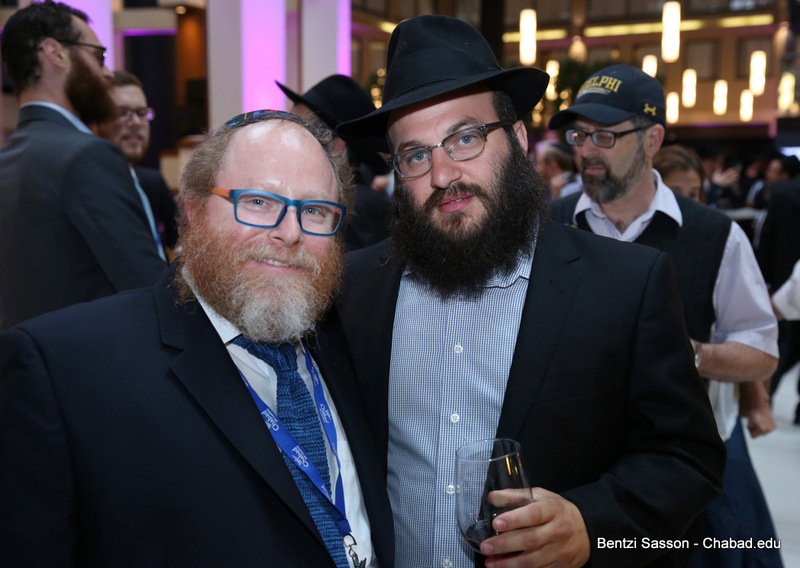 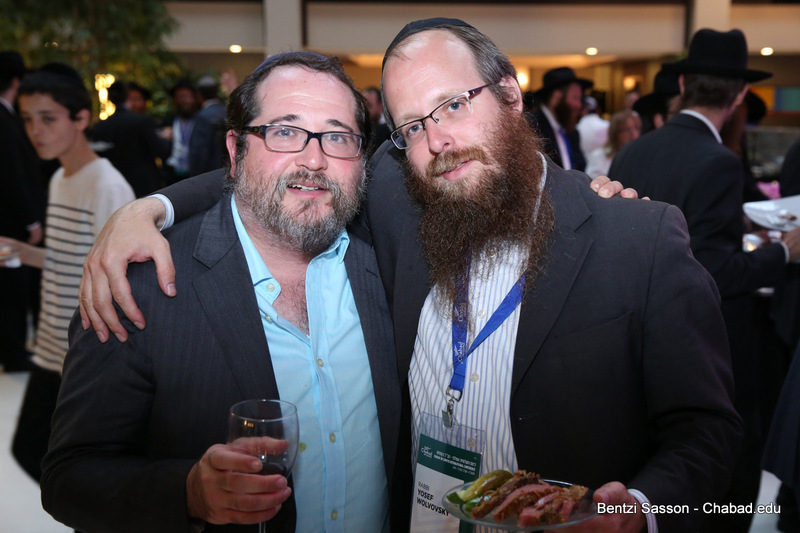 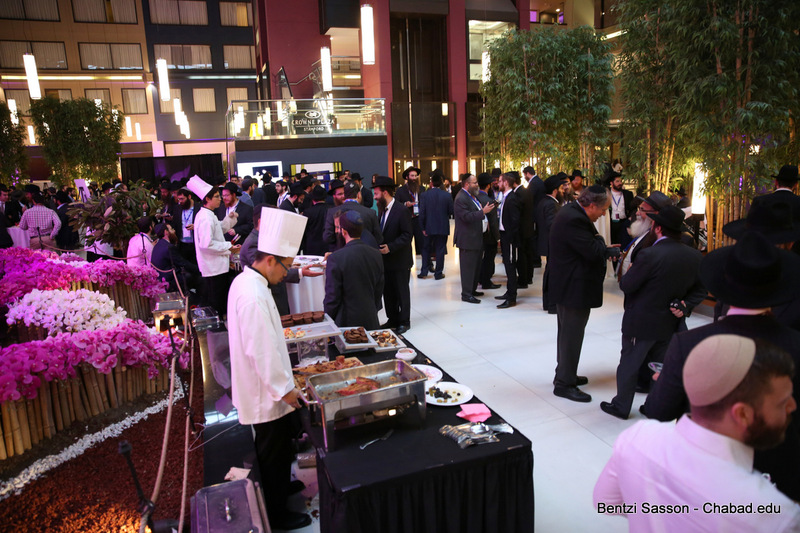 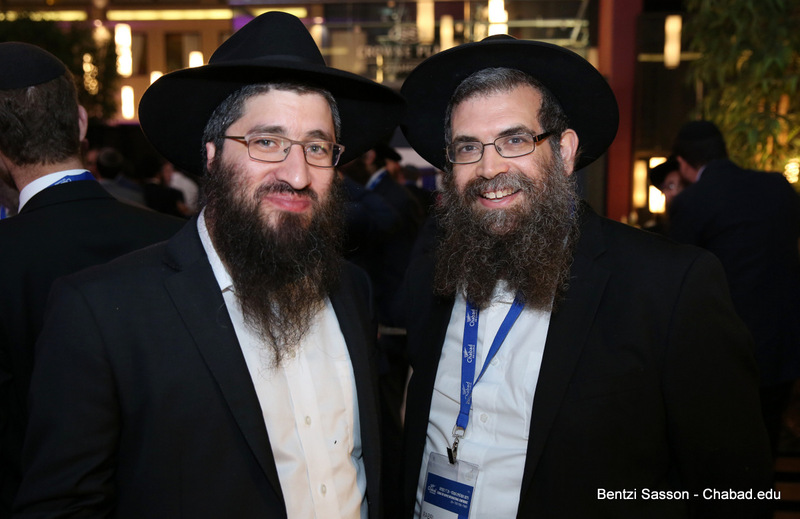 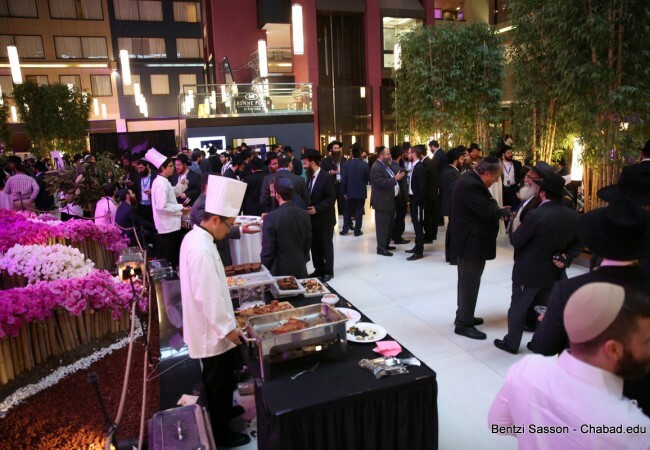 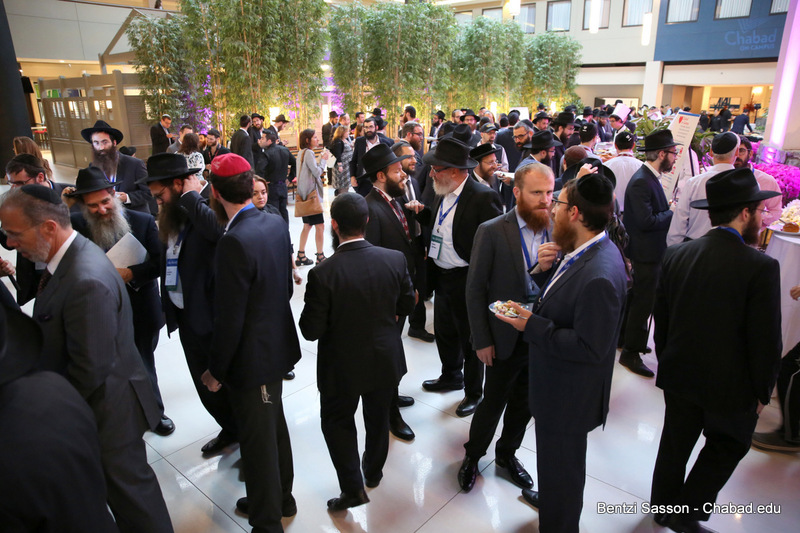 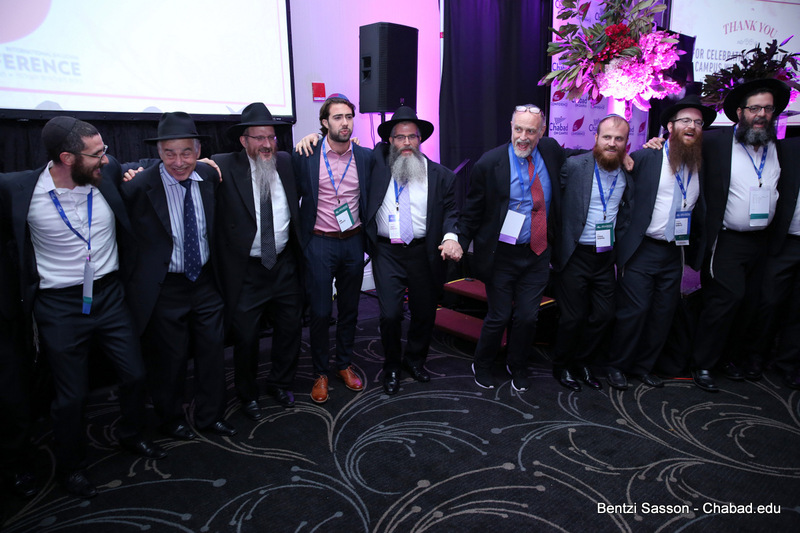 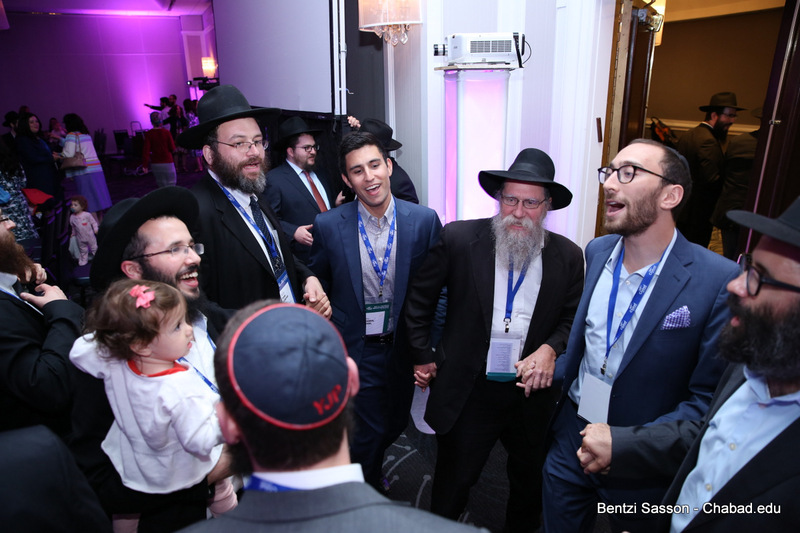 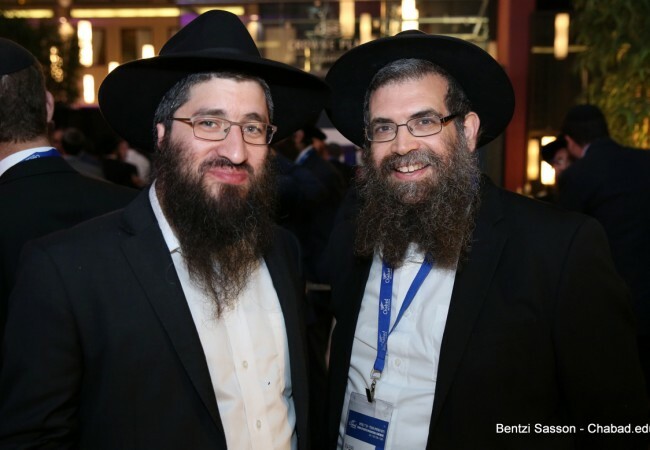 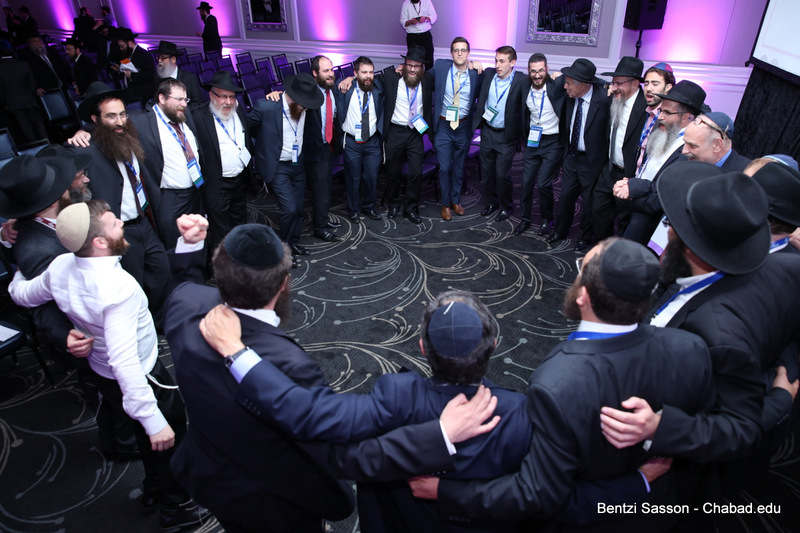 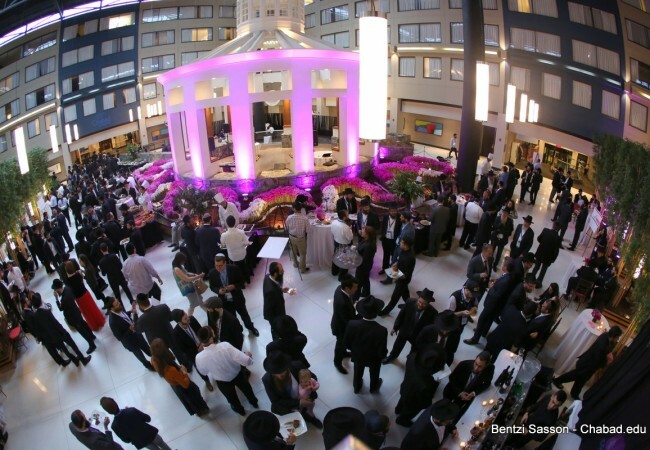 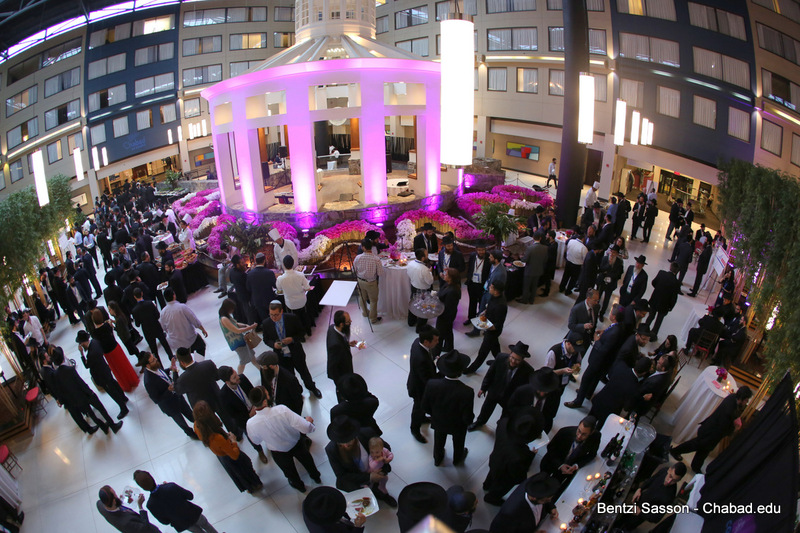 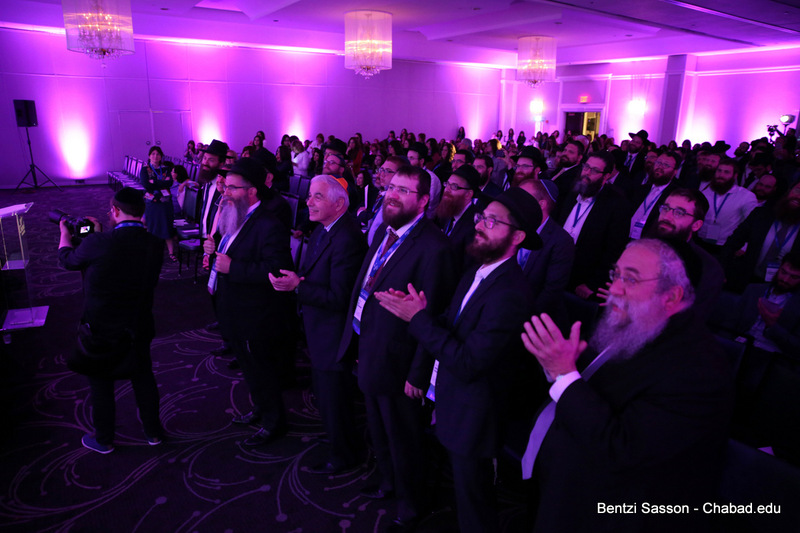 Following a smorgasbord dinner, Chabad on Campus shluchim and shluchos from 17 countries, as well as board members and supporters, gathered in the ballroom of the Crowne Plaza Stamfod Hotel where MC Rabbi Zalman Bluming kicked off the night’s main event by inviting Rabbi Aaron Leaf, Chabad Representative at the Technion University in Haifa, Israel, to open the evening with a chapter of Tehilim. 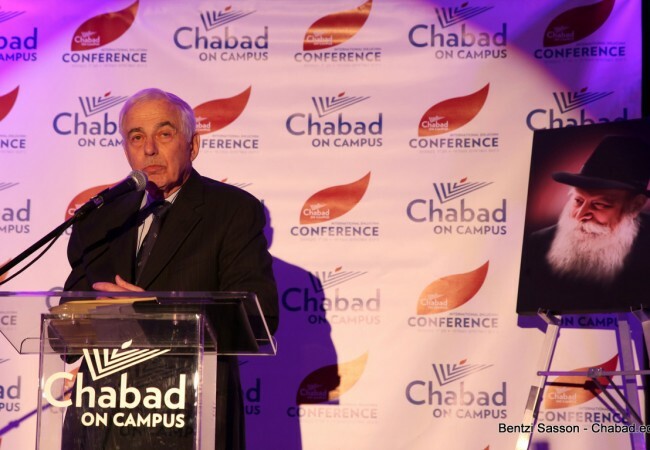 Dr. Richard Herman, Chancellor Emeritus at the University of Illinois at Urbana–Champaign, spoke about the impact that Rabbi Dovid and Goldie Tiechtel – the Chabad emissaries on his campus – have had on many different aspects of university life, including adding kosher food options to the cafeterias and influencing school policy towards Israel. 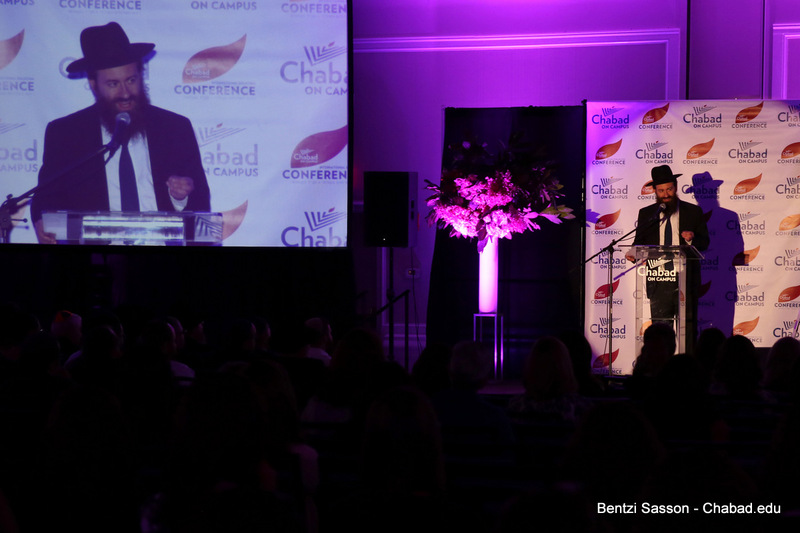 Dr. Herman further spoke about the unique value of having Chabad on every campus. 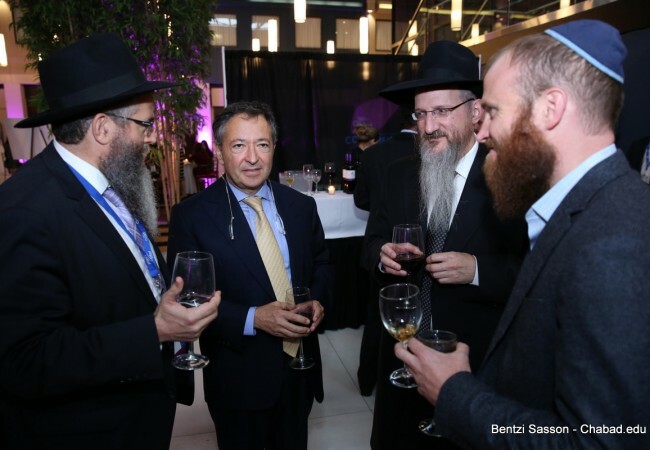 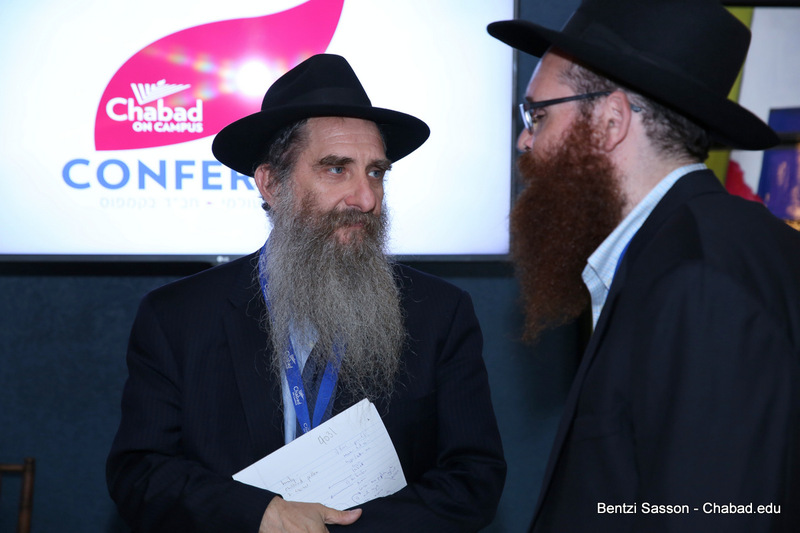 Rabbi Berel Lazar, Chief Rabbi of Russia, reinforced the night’s international theme with his enthusiastic remarks about the recent opening of a Chabad on Campus at the University of Moscow. 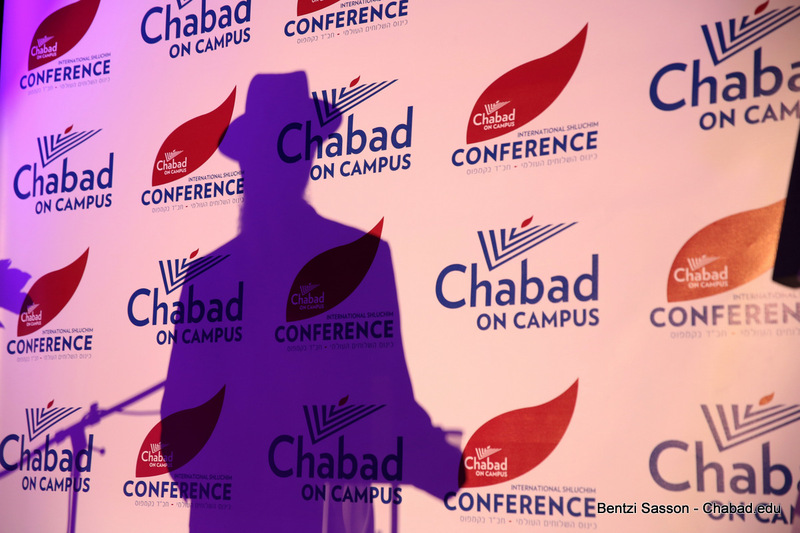 He spoke about the necessity for a Jewish presence at the institution and the impact that it has quickly had on campus. 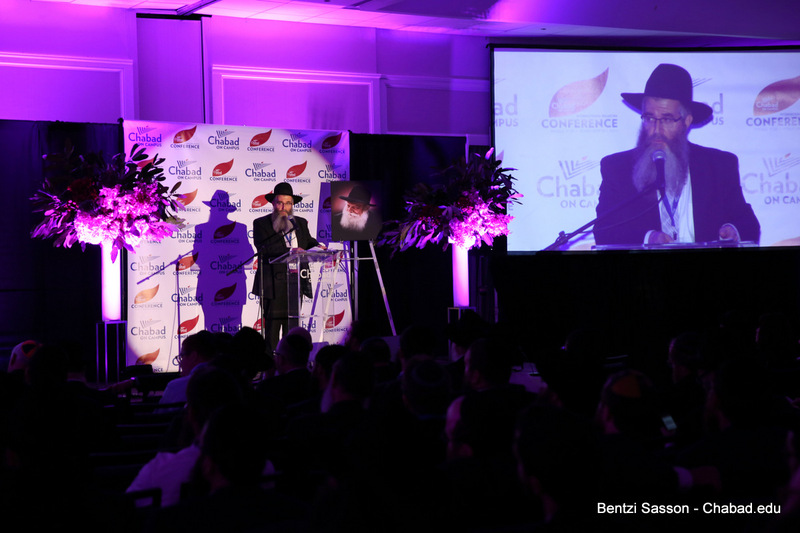 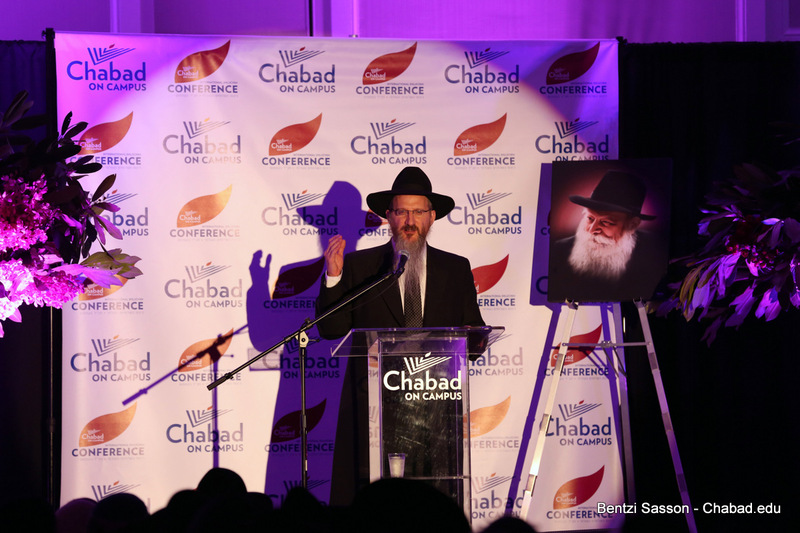 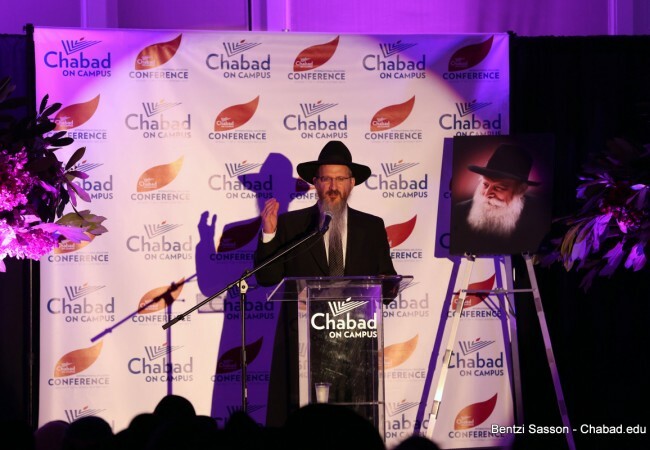 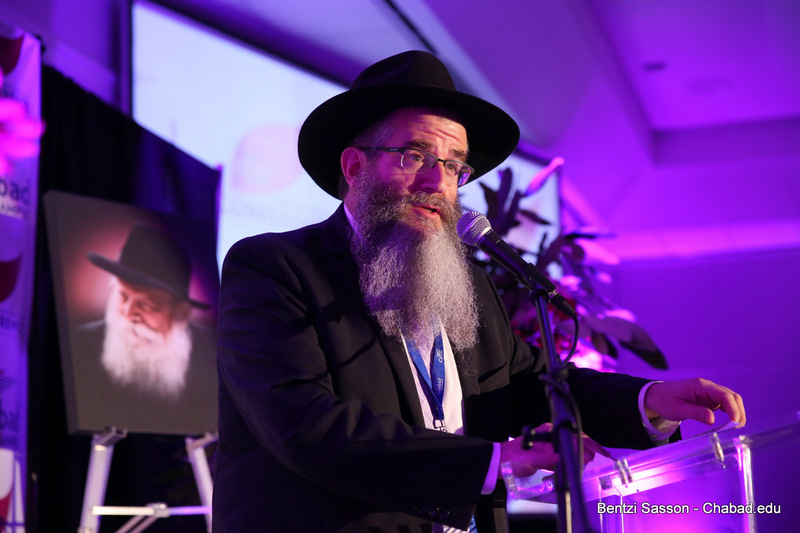 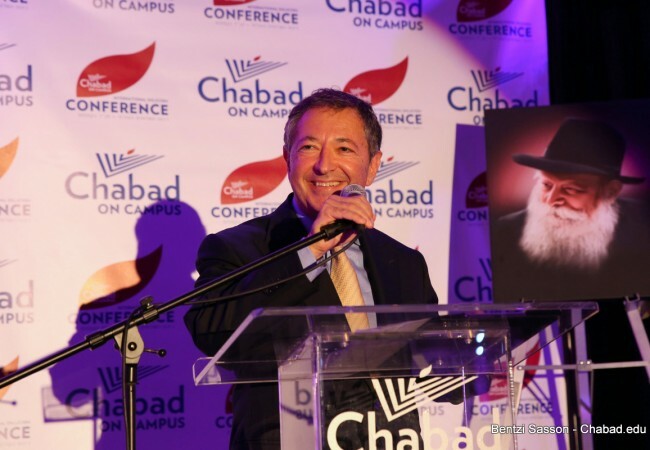 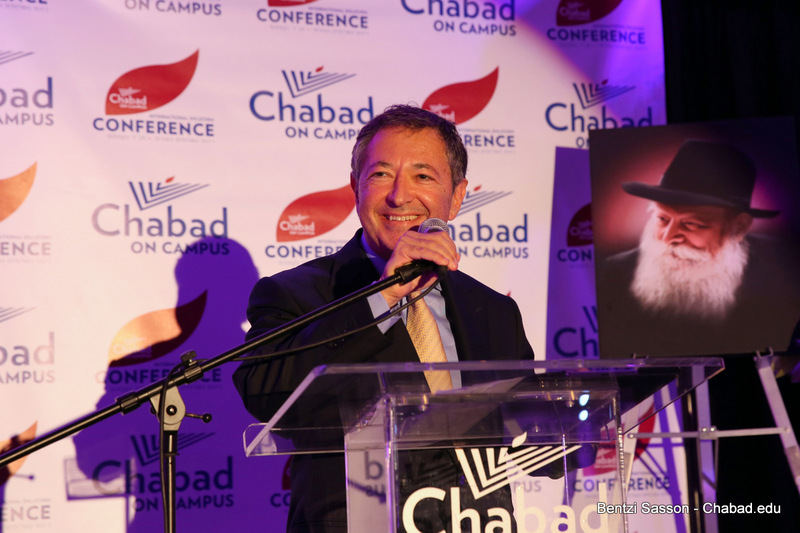 A humbled Mr. George Rohr, Chairman of the Chabad on Campus International Advisory Board, gave a speech of gratitude to the shluchim, stating that when he is thanked for his support it makes him uncomfortable. 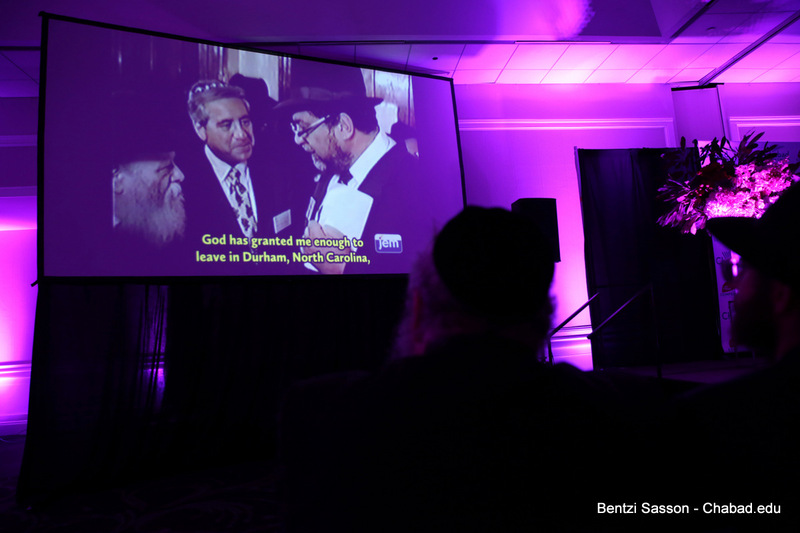 “It is I who should thank you for the opportunity,” said Mr. Rohr. 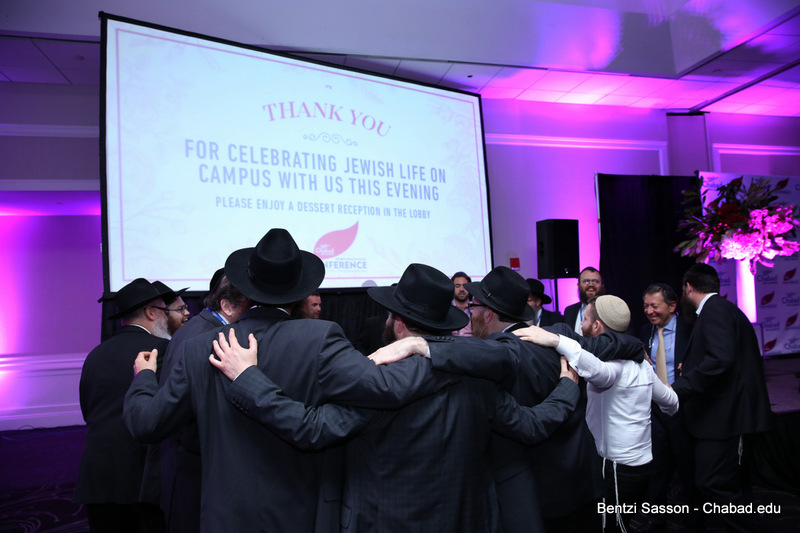 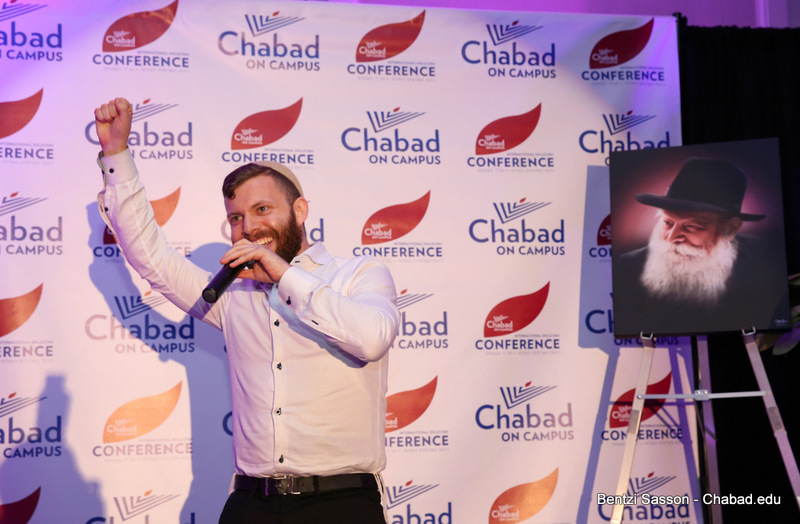 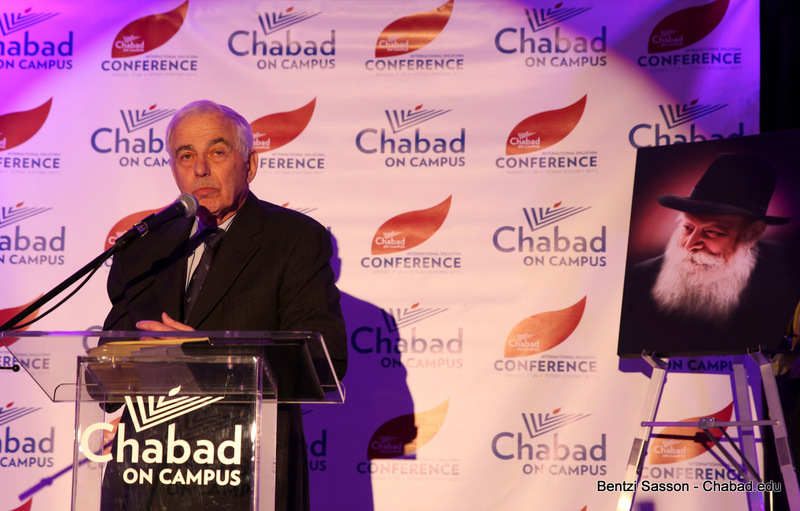 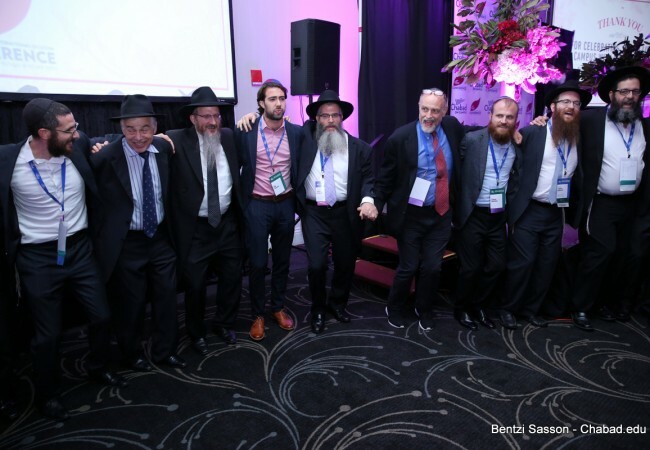 He also acknowledged the shluchos, who he described as “the real reason for the success of Chabad on Campus,” to which he received unbridled applause from the shluchim. 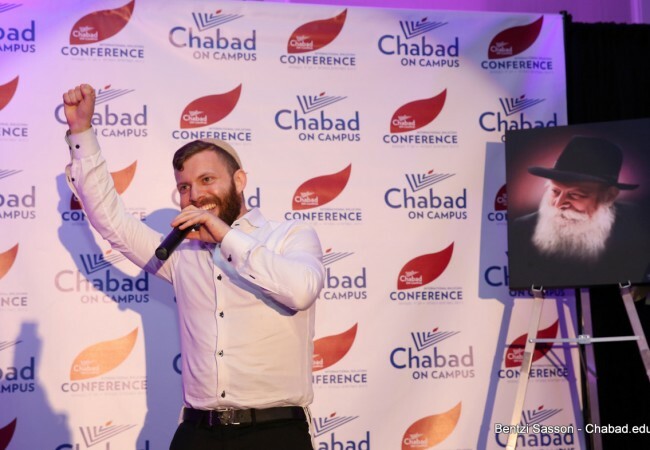 Mr. Charles Goldberg, a music artist who was influenced by Rabbi Zalman and Nechama Tiechtel while attending the University of Kansas, dedicated xa hip-hop version of the “Yemin HaShem” Chassidic melody to the shluchim. 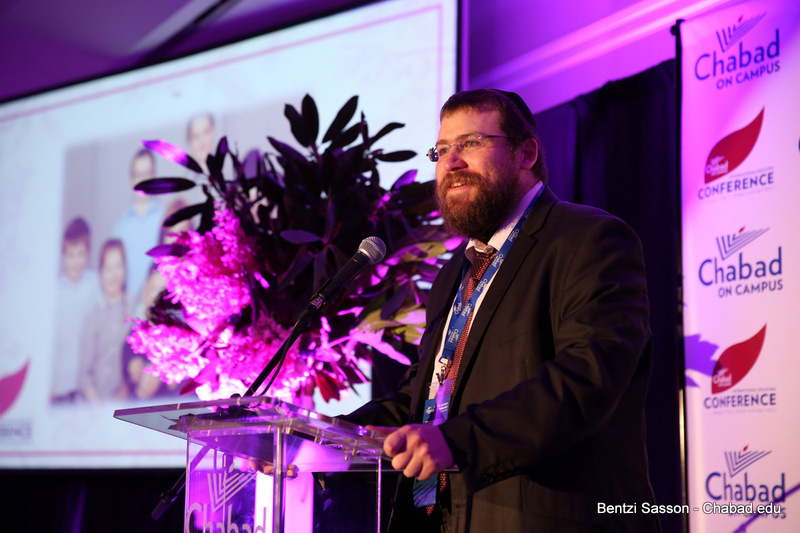 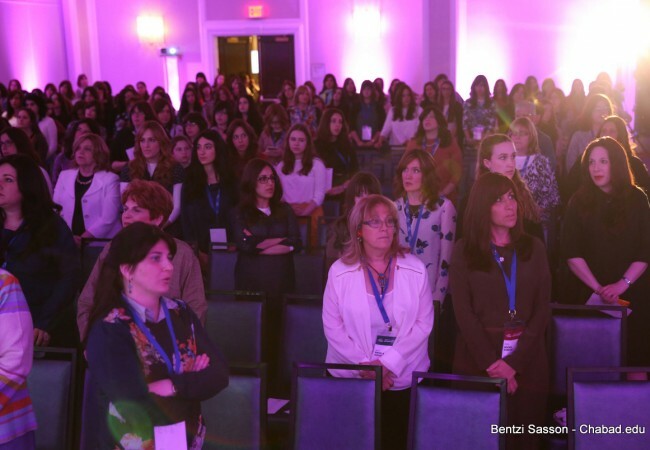 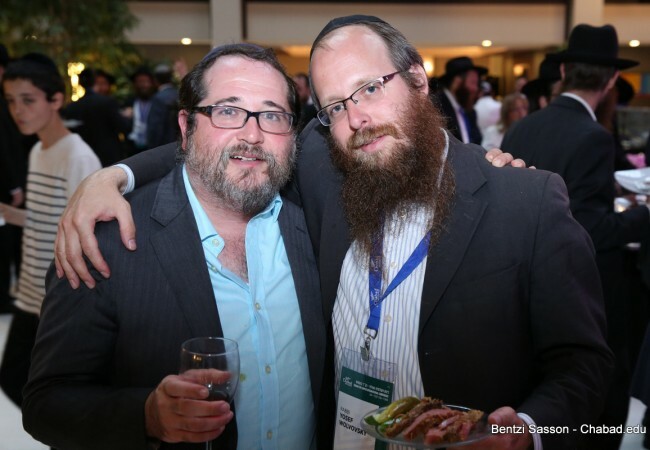 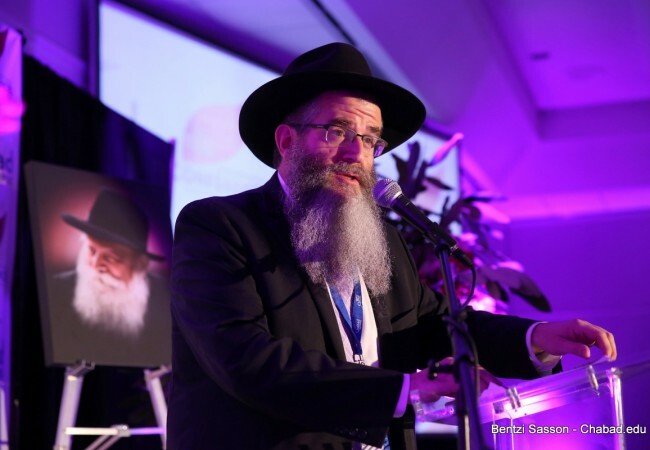 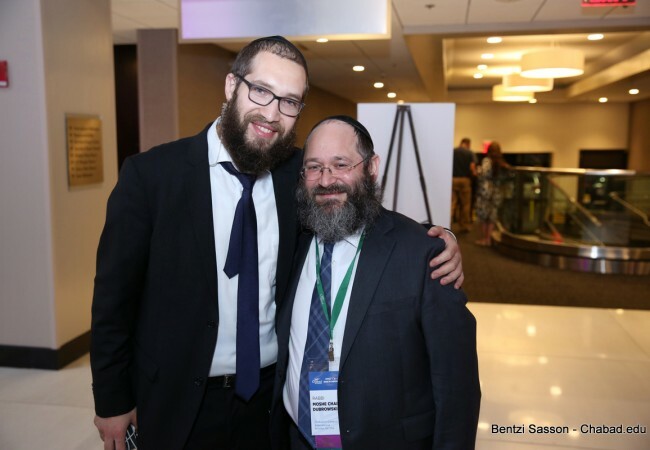 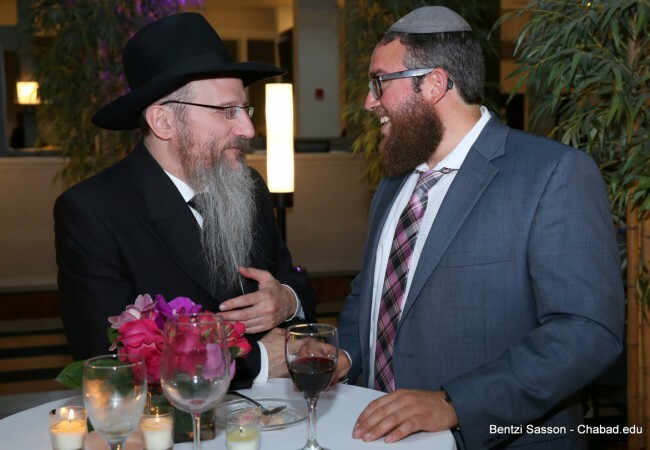 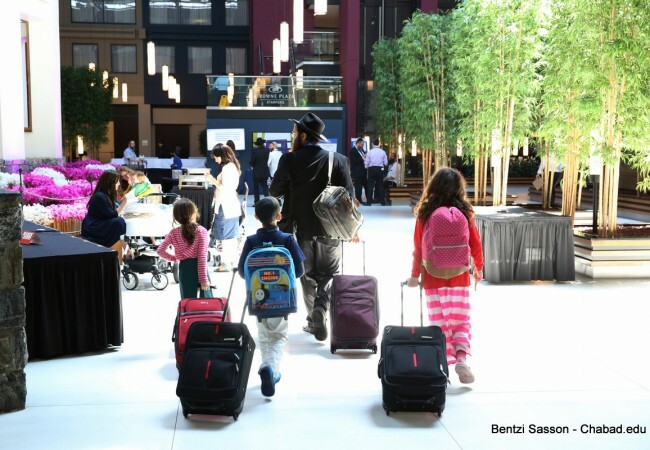 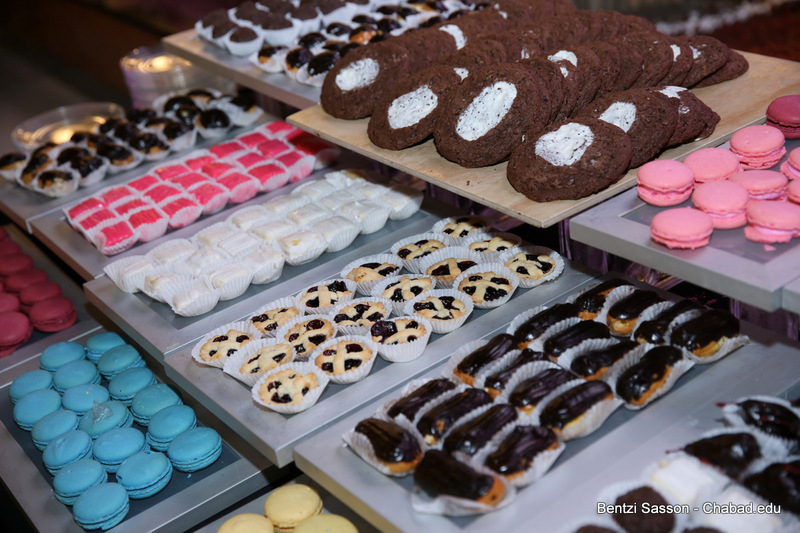 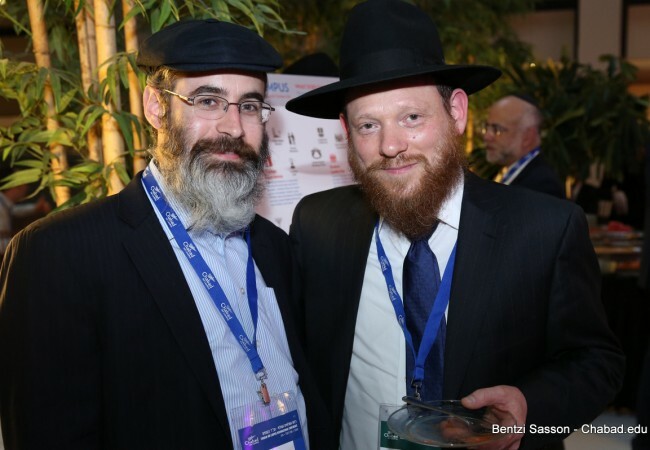 Rabbi Eli Feldman, Chabad Representative at the University of South Wales in Sydney, Australia, used several anecdotes to illustrate that influencing a student to do even a single mitzvah can have a far reaching impact.